The preaching professor replaces historian Gregory A. Wills, who completed five-year term. LOUISVILLE, Kentucky (SBTS) — Long-time pastor and New Testament scholar Hershael York will become the new dean of the School of Theology at The Southern Baptist Theological Seminary effective August 1, seminary president R. Albert Mohler Jr. announced last week at the annual alumni and friends luncheon during the Southern Baptist Convention in Dallas, Texas. York will replace Gregory A. Wills, who completed a five-year term as dean. The School of Theology at Southern Seminary is the school’s oldest and central school, made up of what Mohler called a “classic theology faculty.” The school houses scholars and practitioners in the Old and New Testaments, biblical, historical, and systematic theology, church history, philosophy, ethics, and preaching. The provost of Southern Seminary, Randy L. Stinson, who leads the seminary’s three schools at an executive level, said York’s decades-long commitment to the school positions him to lead the School of Theology into the future. York becomes the 11th dean of the School of Theology since its formation in 1954. Previous deans include Russell D. Moore, now-president of the Ethics and Religious Liberty Commission of the Southern Baptist Convention, and Danny Akin, now-president of Southeastern Baptist Theological Seminary. Wills, the outgoing dean, will return to scholarly pursuits teaching and writing. In the next year, Wills intends to finish writing a history of Southern Baptists. He is also under contract to write a two-volume history of Christianity. “Greg Wills has been outstanding as dean of the School of Theology,” Mohler said. 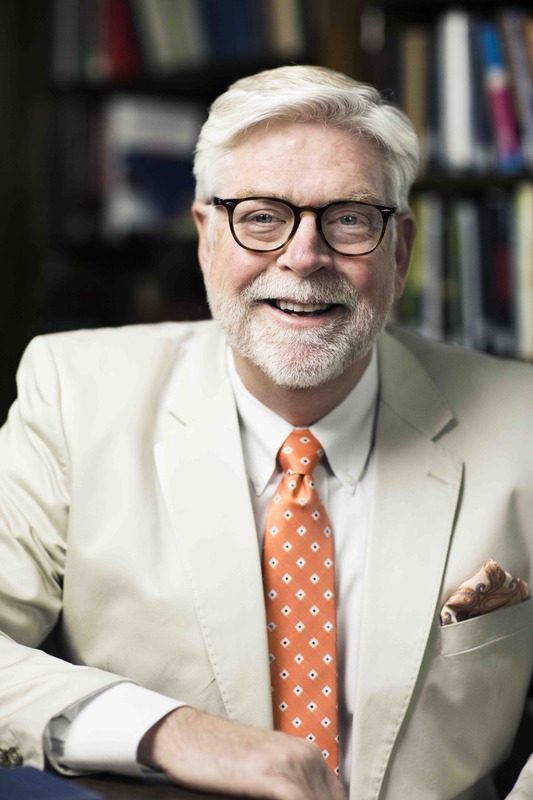 “He represents a return to the model of dean that was established at Southern Seminary in a previous generation: an academic proven in the classroom and scholarship who can serve as a model for others — and who could serve for a time and season as dean. Mohler noted that Wills not only served as a model scholar, but his tenure as dean will serve as a model for the future of the role. Mohler explained that deans of the School of Theology will ideally be unable to set aside publishing and teaching indefinitely — because those characteristics make candidates ideal in the first place. This led Mohler to change the nature of the deanship of the School of Theology. Wills believes York fits this model. York’s relationship with Southern Seminary began 25 years ago, when Mohler became the ninth president of the seminary. York, then the 33-year-old pastor of Ashland Avenue Baptist Church in Lexington, Kentucky. He said he had long given up on the theological trajectory of the Southern Baptist Convention’s flagship seminary. Mohler hired York in 1997 as one of his first preaching professors. Two years later, in 1999, the seminary’s trustees elected York to an endowed position as Victor and Louise Lester Professor of Christian Preaching. It's a position York considers one of the most important at a confessional evangelical seminary. The preaching professorship defines a seminary, according to York, since students are taught the Scriptures and theology in order to faithfully proclaim it, he said. During the hiring process in March 1997, Mohler and Akin, who was the School of Theology dean at the time, took York to Cave Hill Cemetery and the grave of John A. Broadus, the seminary’s first preaching professor and second president. Mohler told York he wanted him to join the faculty at Southern and teach preaching where Broadus taught it, and to teach the same view of preaching he had. York’s educational background includes bachelor of arts and master of arts degrees in classical languages from the University of Kentucky, as well as master of divinity and doctor of philosophy degrees in New Testament and Greek from Mid-America Baptist Theological Seminary. He and his wife, Tonya, have two sons, both of whom work in ministry positions. An installation service for York is planned for the fall, as well as a celebration of Wills’ tenure as dean. The dates for the events will be announced later this summer.